Happy Monday ladies! 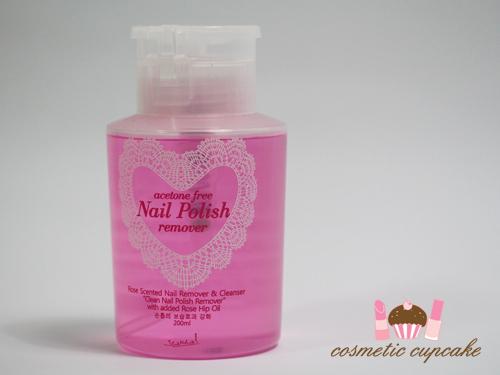 A quick review of a Scandal Cosmetics nail polish remover for you today. 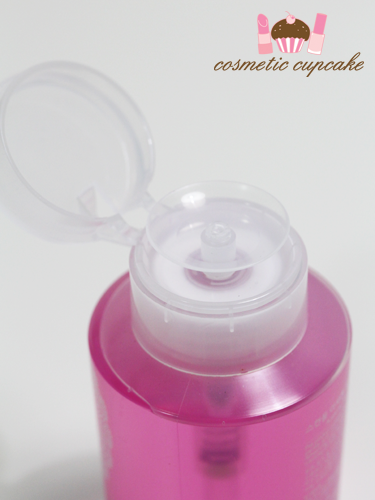 The remover comes in a very handy pump dispenser which is a must for me! I always transfer remover to a pump dispenser so it helps that this one comes with one already. It makes it soooooo much easier when swatching when you don’t have to battle lids and potential for spillage! The polish remover is acetone free which I’m normally not keen on as I find it takes too long to remove polish so I was pleasantly surprised with it. It contains natural rose hip oil extract and leaves an oily film after you remove your polish – almost as though you’ve applied cuticle oil which I wasn’t expecting at all. Now you’d think it would smell like roses but it actually smells like lychees! Definitely better than the overpowering acetone smell. I found it didn’t take too much longer to remove non-glitter polish than with normal acetone removers but definitely still had to scrub more. I wouldn’t recommend using it to remove glitters though, definitely stick to acetone for that! Details: The Scandal Cosmetics Rose Scented nail remover & cleanser is available from the Scandal Cosmetics online store for $9.50. Don’t forget to use my code “cosmeticcupcake” to receive 25% off your order! Free shipping for all orders over $100 too! It looks so pretty. 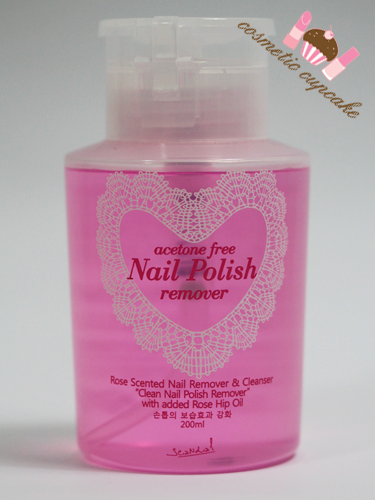 I've never had a pretty nail polish remover lol. LOL many aren't pretty at all! A lot don't smell pretty either haha! ah so handy that it's already in a pump bottle! and with oils, so it's not drying the nails? Very handy right! And after you finish you can just refill with other remover ;) It's still a bit drying unfortunately but definitely not as much as acetone removers.